The Frugal Gourmet, with chef Jeff Smith, is an amazingly thorough video collection with over 80 episodes that include food recipes from around the world. 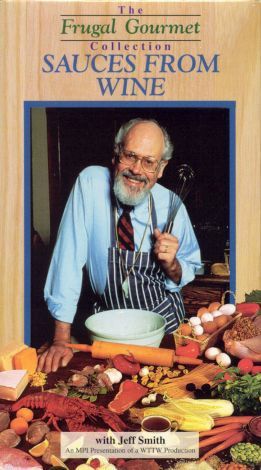 In each episode, Smith demonstrates several simple but important recipes. This episode teaches home cooks that deglazing roasting pans with wine adds flavor, not fat. Recipes include Basic Brown Sauce, Glace de Viande, Marsala and Mushroom Sauce, and White Butter Sauce. Smith not only cooks, but also discusses the theological and anthropological histories of the dishes he prepares. He brings humor and wide-ranging knowledge into the kitchen.